River Lamprey Lampetra fluviatilis is listed on Annexes II and V of the EU Habitats Directive and Appendix III of the Bern Convention. It is found only in western Europe, and Irish populations are considered important for the conservation of the species at an EU level. River lampreys are anadromous and migrate from their coastal feeding grounds into freshwater to spawn. They are larger than the resident brook lampreys Lampetra planeri and reach a size of 30-50 cm. 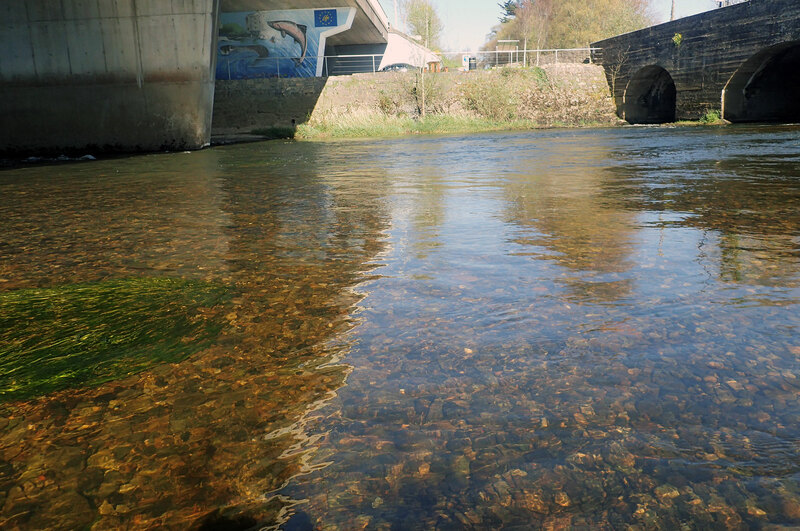 We took these photos and videos of river lampreys Lampetra fluviatilis spawning in the lower River Mulkear, Co Limerick, during mid-April 2015. This work was undertaken as part of an ongoing survey of lamprey populations we are undertaking in the Lower River Shannon SAC. River Lamprey is a key conservation interest of this Natura 2000 site. River lamprey spawning habitat on the River Mulkear. There is an impassable barrier for lampreys upstream from here. 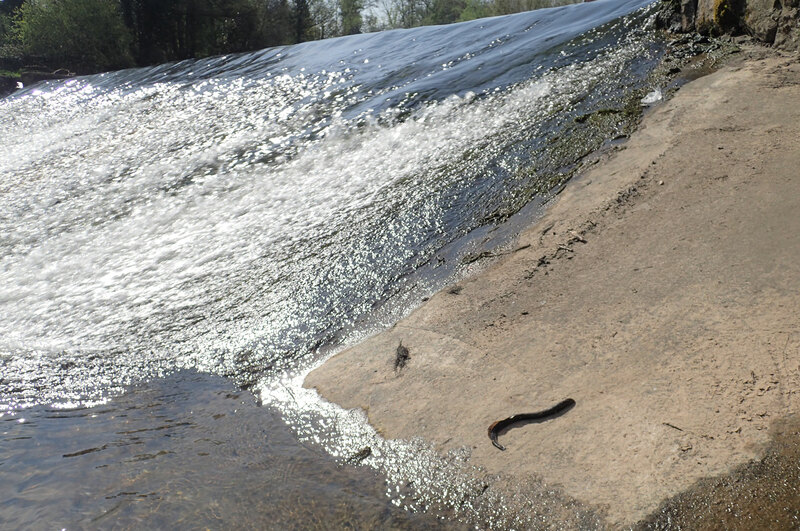 River lamprey Lampetra fluviatilis on the Lower River Mulkear, April 2015. 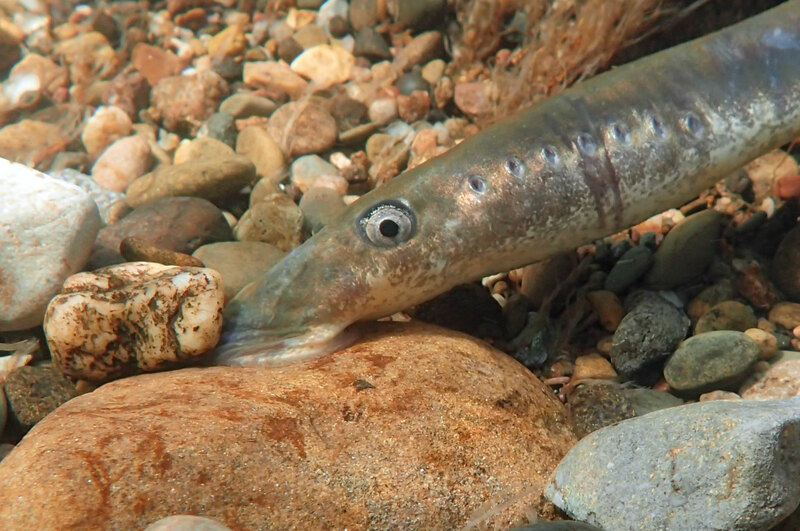 The photo gallery below provides a selection of the photos we took during April 2015 of River lampreys spawning on the River Mulkear. We have been observing River lampreys spawning at this site on the River Mulkear for over 20 years. This river is part of the Lower River Shannon SAC. Also see the videos provided below showing river lampreys nest building / spawning on the River Mulkear, Co Limerick during April 2015. River lampreys were very active in the Lower River Shannon SAC during April 2015, with normal water levels and warm settled weather favouring spawning. River lampreys spawning on the River Mulkear, April 2015 (Part 2). Click below to watch this video from our YouTube channel. The photo below shows a dead adult river lamprey which we recorded at Annacotty weir during our survey. This lamprey had died after failing to ascend this barrier to migration. This species is confined to the lower 2km of this river due to the presence of this impassible barrier. 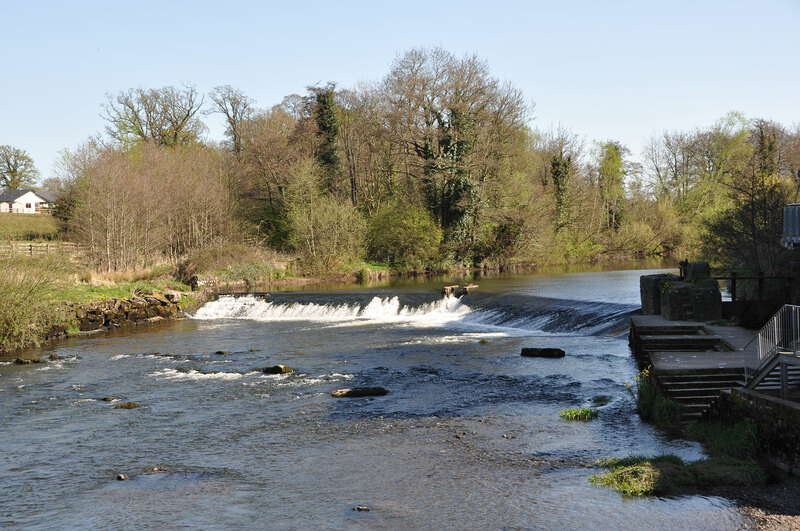 Despite €1.75m of EU funding to Mulkear LIFE – which was supposed to address this problem – Annacotty weir remains a barrier to lamprey (and eel) migration on this river. The tiles which Mulkear LIFE put on this weir are now gone, and they never worked for river lampreys, brook lampreys and European eels. It is likely that they assisted the larger sea lamprey under certain flow conditions only. Annacotty weir is a barrier to migration for lamprey (and eel) migration on this river. This weir is located in the lower reaches of this river. We found this dead adult river lamprey at Annacotty weir during our survey. Annacotty weir remains a barrier to lamprey (and eel) migration on this river. Also, read this new interesting important paper entitled ‘Contrasting population genetic structure among freshwater-resident and anadromous lampreys: the role of demographic history, differential dispersal, and anthropogenic barriers to movement‘ by Bracken et al (2015). Prev Instream enhancement works in Ireland – what about lampreys?